Breck HIGH CARBON brake discs are an excellent choice for those who value products made with the best available technology. 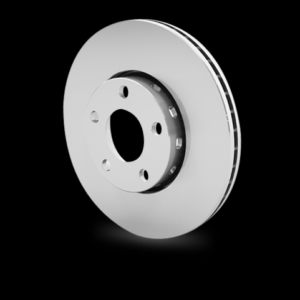 These discs are made of an improved cast iron alloy featuring high carbon content, which enables perfect braking without hot judder. Improved driving comfort – high carbon content in cast iron ensures softer disc operation. Resistance to deformation – the use of high carbon material in Breck HIGH CARBON discs minimizes disc deformation. Hot judder reduction – cutting-edge materials reduce driving wheel vibration even at high speeds and low braking intensity. Improved thermal conductivity – Breck brake discs made of high carbon cast iron feature improved thermal conductivity and decreased heating of the brake disc contact area. Excellent product design – Breck brake discs are made of an improved cast iron alloy. Their manufacturing process is strictly controlled and the content of specific components is closely monitored. GEOMET® coating – since the degreasing process was eliminated, these brake discs are both environmentally-friendly and easy to install. Breck brake pads with the HIGH SAFETY system matched with HIGH-CARBON discs ensure safety and driving comfort regardless of road conditions.